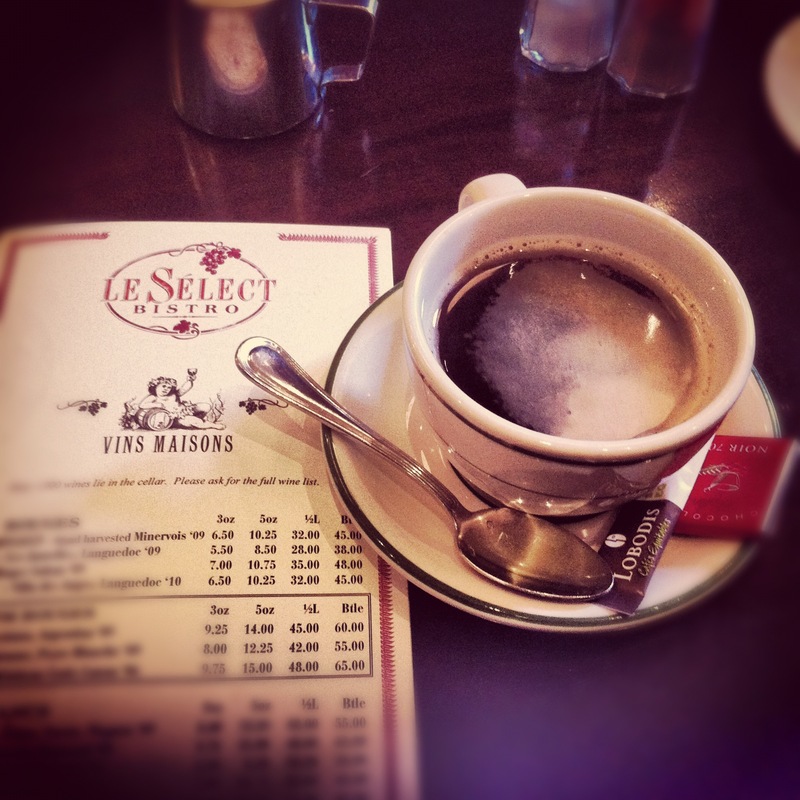 Le Select Bistro is a French-inspired restaurant in Toronto, nestled away on Wellington Street West just west of Spadina. It’s in a relatively quiet spot downtown, away from the hustle and bustle of the busy King West area. My sisters, cousin and I went here on one of our monthly Cousins’ Brunches. I was immediately impressed by the décor. It reminded me of the restaurants I had been to on my trip to Paris. Everything from the chairs, the wood of the bar, the outdoor patio chairs, the striped awning, it all had an authentic feel. As per usual, I ordered eggs Benedict. Let me tell you, they prepare the English muffin in a way that is nothing short of magical, it’s so good. That combined with the ham, free-roam eggs and asparagus is absolutely delectable. 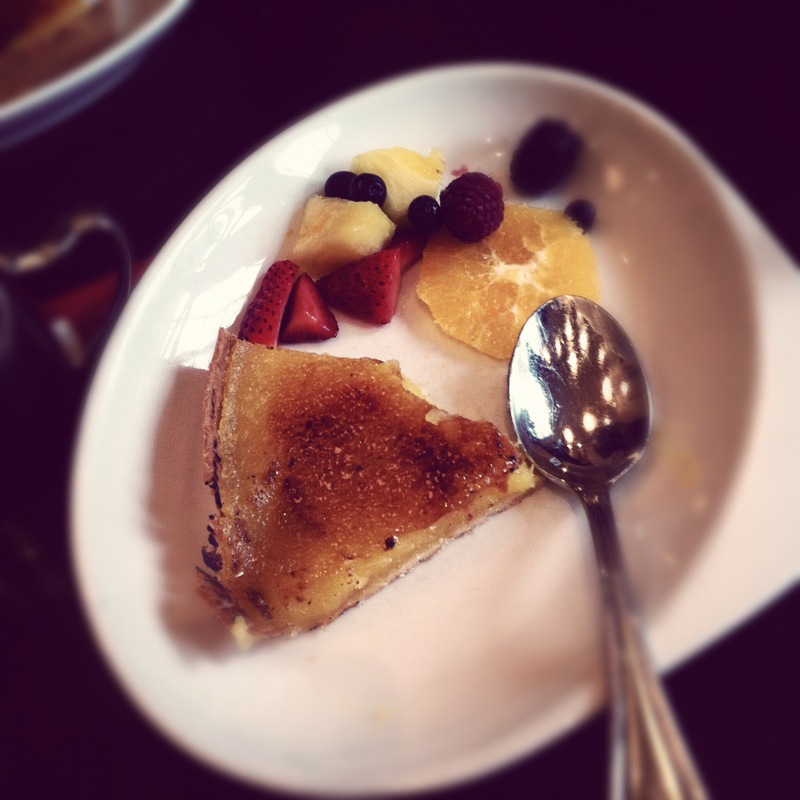 For dessert, I like to get the lemon tart. What I like about Le Select’s desserts is that they are just sweet enough – you capture the taste of the lemon without it being overshadowed by sugar. Coupled with an Americano, you can’t go wrong. Le Select is truly a classy dining establishment. If you are looking to be impressed, or if you’re looking to impress that special brunch date, I recommend eating there. 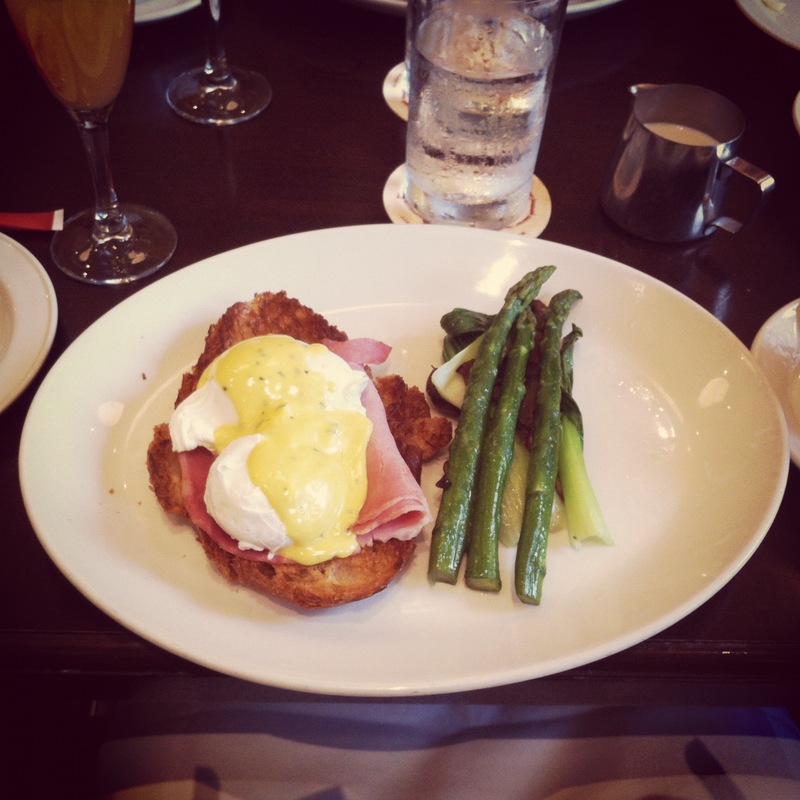 I work across the street, I’ll keep the eggs benny and lemon tart in mind for next time! Looks and sounds delicious. It’s really really good! It’s beyond tasty!